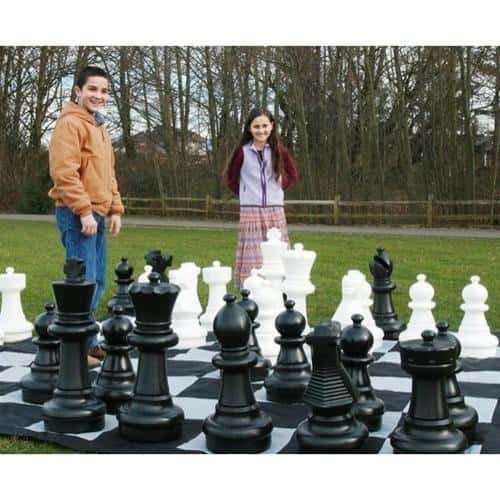 Enjoy the feeling of being royal with Giant Chess Set. It is simply made in a style that you would enjoy having the game with it. The mat size is of 9 feet and the chess house’s 25”. It is apt enough that any age of person can play it in a very interesting way. Place it in your house backyard or make it settle at pool area. It will always give you the feel of royal game and you would love to have such pleasures in a great way. So, get ready to explore the Giant Chess Set with your wit which can make you to think of playing in a group. There are many people who love playing chess in different ways. This is a very special way for them to enjoy their favorite game. One could think of having the clash of two teams rather just being with two people in front of each other on table. This is an easy to move with the help of knob-style top. You can buy the pieces of it in replacement. This is made from the polyurethane plastics which are tough and apt for kids uses too. This would be a better optimal game to play outdoor at your convenience. One can treat it like an outdoor giant chess set, lawn chess set, or garden chess. It has many features and uses that are good enough to make you feel good when you are playing the game. You would find the things to move more wooingly when you are on and playing the game. The colors in larger shape make it look more impressive and it could be used in any season. 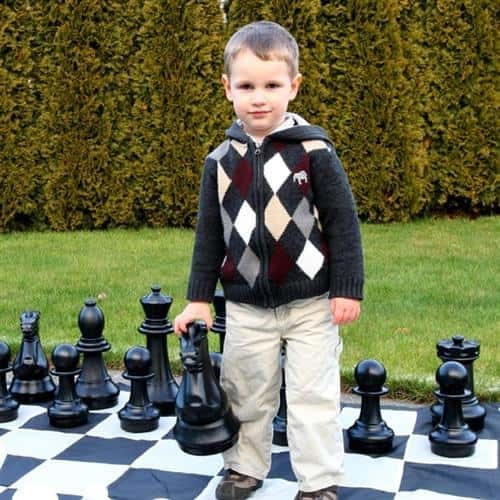 It is a nice fun where you enjoy the Giant Chess Set with its big pawns and knights.